Melbourne's a compact city. It's mostly flat, with several forms of transport that move easily in and out of the city's central business district. The Melbourne's grid layout makes it an easy city to navigate. Most of the city's attractions are within walking distance from each other. Public transport, be it train, tram or bus, taxis, vehicles and push bikes, find it safe to traverse the city streets and it's viable laneways. Just watch out for the hook turn signs. 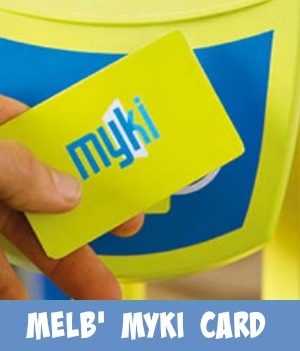 If travelling on public transport, all you need is a myki card. This is a plastic 'smartcard' with a stored value which can be topped up and re-used again. 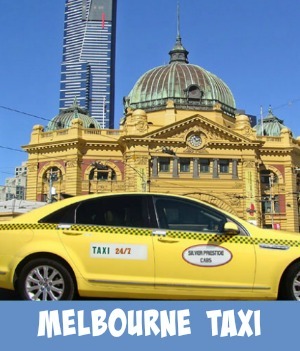 Once purchased, you'll be ready to travel around the city, exploring all those Melbourne attractions, the numerous theatres, the beautiful parks and gardens that are scattered throughout the city and restaurants, cafes and coffee shops. Start your adventure at Flinders Street Station and work your way through the city. Where do all the trains disappear to? Flinders Street Station is where trains arrive coming in from the outer suburbs. 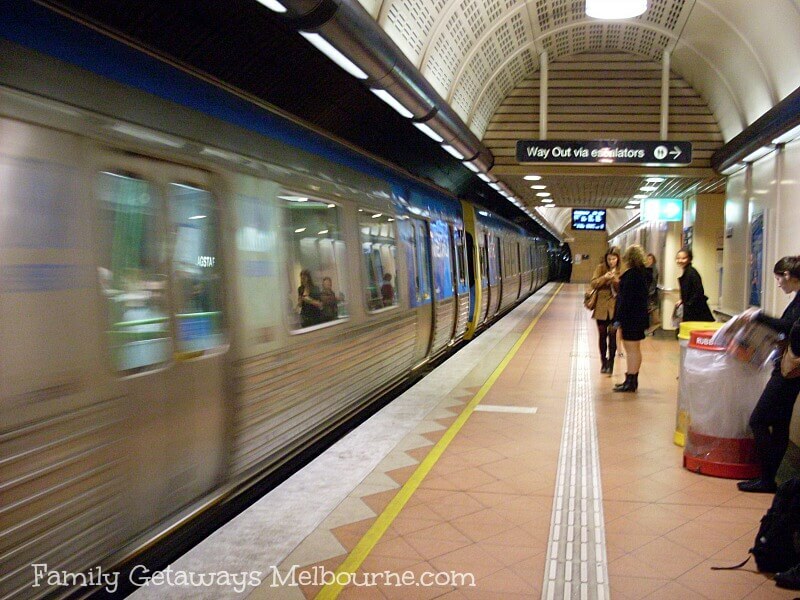 The city loop is Melbourne city's underground train system. This system consists of 5 stations. Southern Cross Station - Melbourne's hub for regional and interstate trains. Flagstaff Station - Underground, 3 levels linked by elevators and stairs, steep, steep elevators! Melbourne Central - great to hop off and shop around. Parliment - nearby attractions are Parliment House, St Patrick's Cathedral, the Old Treasury Building, Princess Theatre. 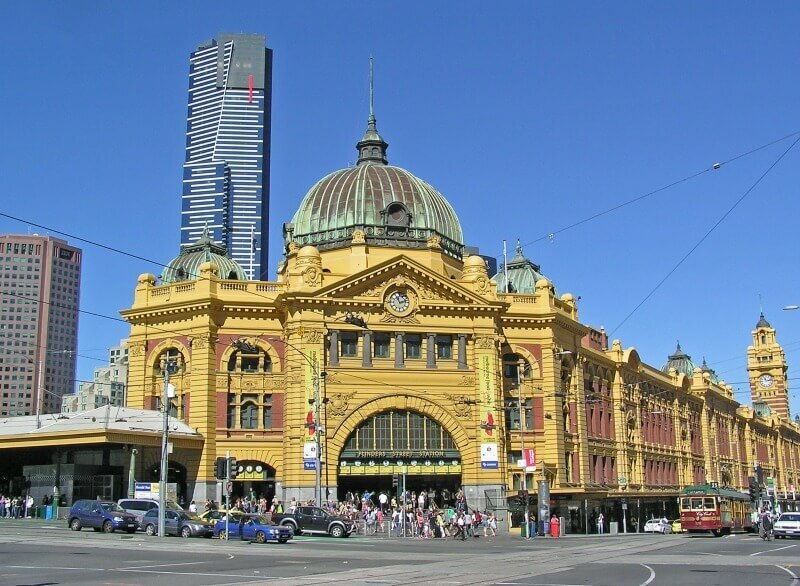 Flinders Street Station - Great place to meet is under the clocks on the corner of Flinders and Swanston Streets. Federation Square is just across the road where the Tourist information Centre conveniently is situated. Use the train to hop from one area of the city to another. 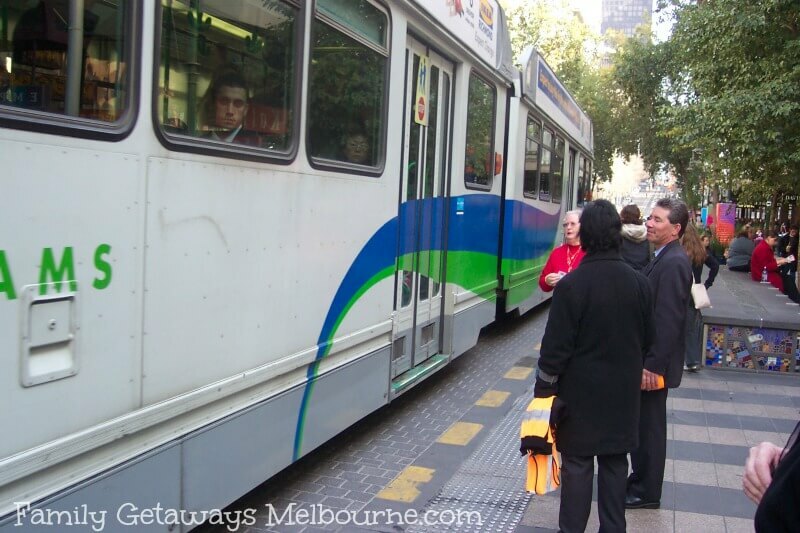 It's a fun way to explore all that Melbourne has to offer and see how the city operates. Flinders Street Station is part of the rail underground system. The popular tourist place to meet is under the clocks. The city tram stops display maps, route numbers and the timetable. Each tram has a number displayed on the front of it along with the destination. Travel within the city is free within the Free Tram Zone, go to the Public Transport website. You don't need to use your MYKI card if you travel this zone however if you are travelling outside this area then don't forget to secure your MYKI card. You can collect a flexible 'Myki Explorer Pack' at Federation Square. 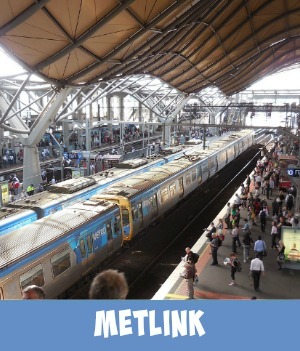 This is a ready to use card that allows you unlimited travel for the day on Melbourne's Public transport. There is the function to top this up to keep on exploring Victoria. It is available in three types, full fare, concession and child. 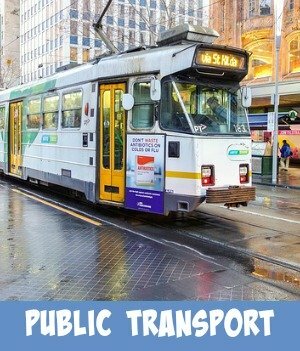 If you are driving in the city, please be aware that there are rules to follow when passing a tram. Check out this video to understand how to manoeuvre your car around a tram. What's that burgundy tram that travels around the city? Well you can travel 'free' on this special heritage listed tram around the city on it's special route. 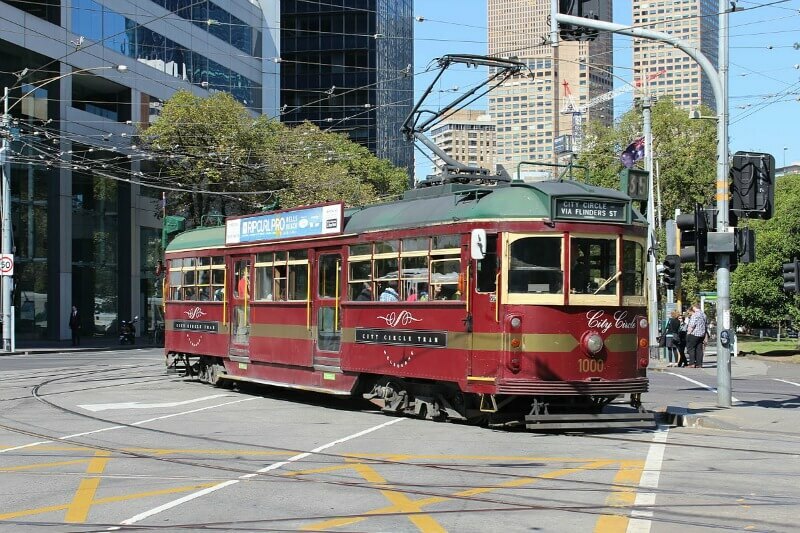 Getting around the best parts of Melbourne using the City Circle Tram is an excellent way to see the city and it's attractions, especially if you are time poor. 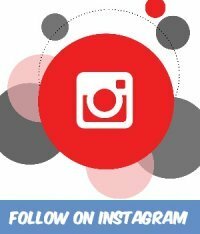 Check the route out here for all the attractions you might want to visit. The great thing is that you can hop on or hop off at any time, no charge to ride! 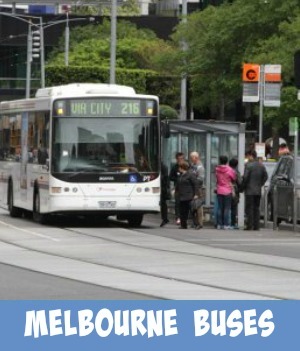 Buses in Melbourne run frequently shuttling passengers to some of Melbourne's best attractions, to shopping centres to indulge your passion, leisure and sports venues and other points of interest. 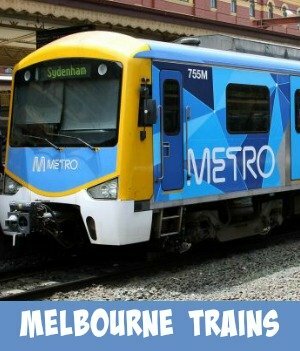 Select your stop from the list here, Melbourne City, and plan your journey. There are some pointers that you need to observe when driving near buses. 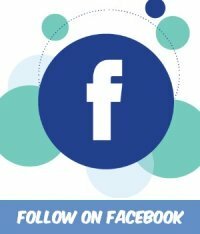 Watch this video to understand the rules. 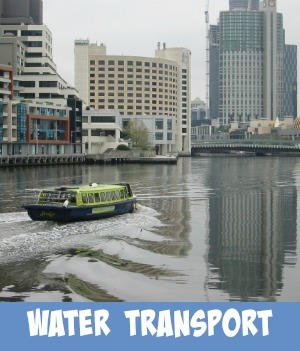 What about Getting Around Melbourne using the 'Melbourne Visitor Shuttle'? That's a great question. The bus shuttle stops at 13 key city locations. The shuttle runs every 30 minutes, seven days a week between 9.30am and 4.30pm (check the website more exact for details), the whole trip takes approximately 90 minutes. Free Wifi and air conditioning with an ongoing commentary makes this ride a worthwhile and enjoyable experience. Tickets cost $10 and are valid for up to two days. Children aged under 10 travel free. You can purchase your tickets online or at several locations around the city. If you need more information, please visit thatsmelbourne.com.au/shuttle. Use the city's taxi service to get from one side of the city to the other if you need to get there fast! Or hire one to take you down to the the beach for example. Easy to find as they are bright yellow or silver or white, and display a lamp on top of its roof. There are cab ranks displayed on the city streets at specific locations. Driving in the city - if you really have to! Getting around the city by car can appear quite tricky as some of the city streets are one way and some are closed off for pedestrian traffic only. Most streets will have their name displayed either on a sign post or attached to a building. 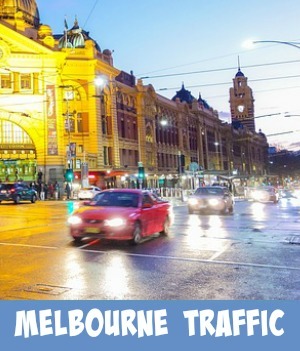 Driving in Melbourne is on the left side of the road and try to avoid driving on the tram tracks as much as possible. Most tram stops have their own little platform area but please be careful when driving past a stationary tram and watch out for pedestrians. 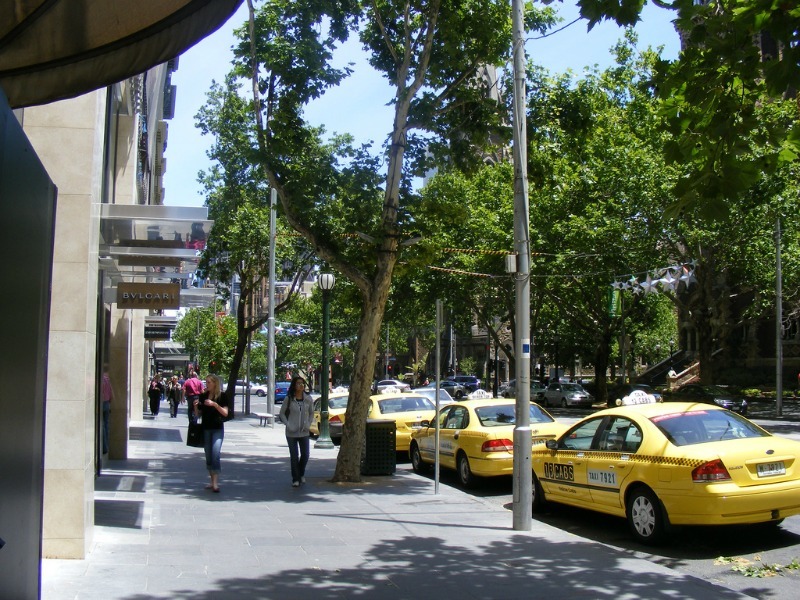 There is paid parking on most of Melbourne's streets and secure paid parking facilities scattered throughout the city. Note the time these shut as you certainly don't want to find that you are unable to get you car out. You can park on the outskirts of the city and use public transport or perhaps walk into the CBD if you have the inclination, that's a great way to explore the unique buildings and structures along the way. for example on St Kilda Road. Driving into Melbourne these days might appear a tad confusing with all the road works and new freeway exits and entrances popping up. 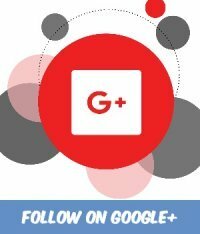 Just watch the signs closely as you drive, use Google Maps to plot your route before you leave home or hotel or if you have your mobile handy use Google Maps and that friendly voice will let you know how to get there. 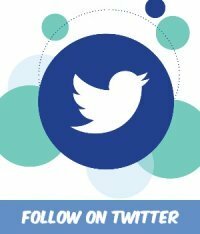 Be aware also that on some streets in the city you will need to perform what is known as a 'Hook Turn'. You haven't driven in Melbourne if you haven't performed a hook turn! What are those stands with blue bikes? 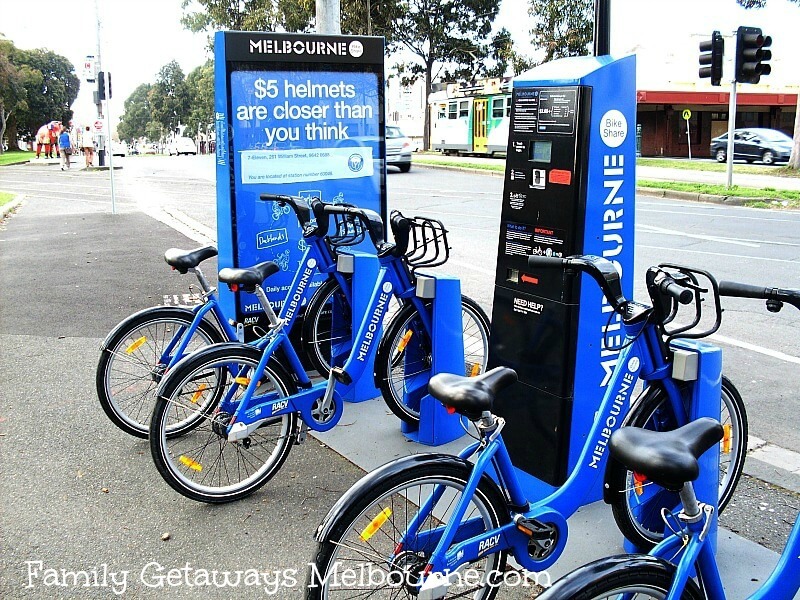 These are for folk who would like to ride around the city on a push bike, you can now hire a bike from one of the city's docking stations.There are plenty of parks to explore and riding along the Yarra River is a beautiful way to see the Melbourne skyline. The first 30 minutes riding time is free and to extend your time for your explorations all you have to do is re-dock the bike at any of the docking locations, wait 2 minutes and pop your credit card into the vending machine once again and choose a bike, note that your card will not be charged again. Please note that you must wear a bike helmet if you are riding a bike in Victoria. 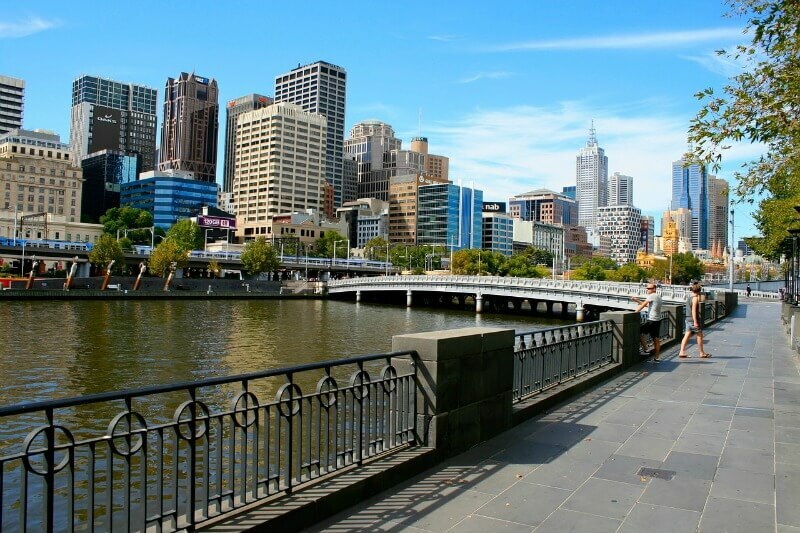 This includes bike paths as well, such as along the Yarra River. Melbourne Bike Share now provides a bike helmet for free when you hire the bike. Should there not be a helmet with the bike for some reason, then you can purchase one from a nearby vending machine or these retail outlets (these you will find close to any of the docking stations). Because the city is relatively flat, getting around Melbourne on foot is easy. You can easily wander around the city and explore all the city's secret nooks and crannies. 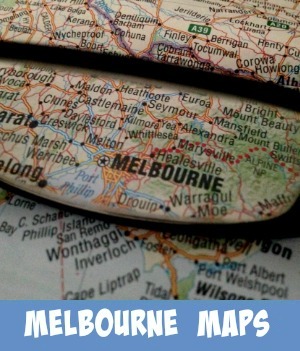 Pick up some free Melbourne walking maps from the Information Centre at Federation Square. There is also the Melbourne Visitor Booth, located in the Bourke Street Mall. This free information service is conveniently located in the heart of the city’s retail centre. Friendly volunteers at the Melbourne Visitor Booth provide maps and information on shopping, attractions and events.